Looking for a quick and easy, no-bake dessert? 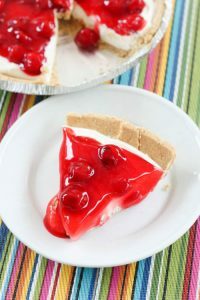 This No-Bake Graham Cracker Crust Pie will hit the spot and have your family coming back for more! One of my favorite memories as a child was having this Graham Cracker Pie every summer. My mom used to make it on special occasions and it was always... Read On → The post No-Bake Graham Cracker Crust Pie appeared first on All Things Mamma.